I’m a big fan of Record Store Day. It’s an excuse to throw a big chunk of my tax return at the artists I like the most, and I’m not ashamed of how much great music I walked away with this past weekend. Did you participate in Record Store Day? If so, what did you snag? Let me know in the comments! I’m a big fan of Thao Nguyen, but I can’t say that I’ve ever snagged one of her albums brand new. That changed the second I heard that Joanna Newsom (possibly my favorite songwriter ever) would be featured on We The Common. The cover is the work of Sergei Mikhailovich Prokudin-Gorskii, who created some of the earliest color photography. Some of his images also happen to be on the cover of a CD I’m recording with my band Pushmi-Pullyu, so that doesn’t hurt either. Thomus Meluch has made quite a range of sounds under the name Benoît Pioulard. I first heard him making dreamy, ambient-based acoustic pop tunes on his Krankey debut, Précis, and I fell in love with his style right away. Meluch returns to Kranky with Hymnal, and I was lucky enough to snag the last copy at my local music store. This time around, he’s created some really great sprawling landscapes that really make you question the range of a singer/songwriter in the digital age. Hymnal reminds me of a denser take on the “laptop folk” genre, which pairs minimalist electronics with acoustic instruments in an organic fashion. This was a complete shot in the dark for me. I’ll point you in the direction of a review taped to the CD: “We love Clutchy Hopkins. His creepily sparse bass-lite remixes of MF Doom cuts and various instruments of his own accord keep us going when the work overflows and we want to reach out and pat the young man on his back.” No one really knows who Clutchy Hopkins is, but I’m intrigued enough to see what’s up. If it’s anything like MF Doom, I’m going to enjoy it. I can’t even tell you how many times I’ve owned and lost Takk… For some reason, it’s a disc that I loan out to friends and never see again. Luckily for me, this copy went straight into my Murfie collection, and no, you can’t borrow it! I was fortunate enough to see Sigur Rós two or three times at the height of my fandom, and Takk… was a big favorite of mine. This album has, arguably, some of the best tracks the band has ever put out. Hoppípolla, Glósóli, Sæglópur – the list goes on. 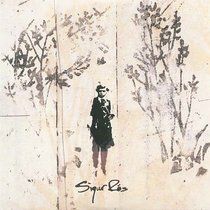 I encourage you to seek out some of the music videos that go along with these songs as well, because Sigur Rós really outdo themselves in that regard. I will be the first to admit that I’m not a very big Beastie Boys fan. They’re a group that I just want to love, but for some reason they never click. Maybe it’s because Licensed to Ill came out a year before I was born, and maybe I just don’t have the background that made their work revolutionary. 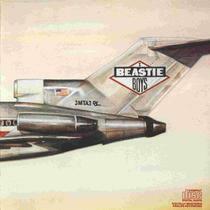 Nevertheless, I find myself snagging a Beastie Boys album every 6 months or so, just to see if anything has changed. I can’t honestly say that Licensed to Ill has really hit the spot for me this time around, but with so many friends claiming them as an early influence for their work and musical tastes, it’s at least good to know what they’re about. I’ll pass on the Boys for now, but if you’re into their brand of hip-hop, we’ve got it at Murfie almost always for $1. Those are just a few of my finds from Record Store Day 2013. Some honorable mentions include Eskimo Snow by WHY?, Rainbow by Boris with Michio Krihara and Indian Classical Maestros Vol. 2: Sarod by Ustad Amjad Ali Khan. While I may have missed out on most of the Record Store Day exclusives (I went kind of late), as you can see, I still have plenty of new music to catch up with!